Where to Buy CY-Kick Aerosol, CY-Kick Cyfluthrin Aerosol Residual Insecticide - 17.5 oz - $17.75 for Sale with Fast Free Shipping! 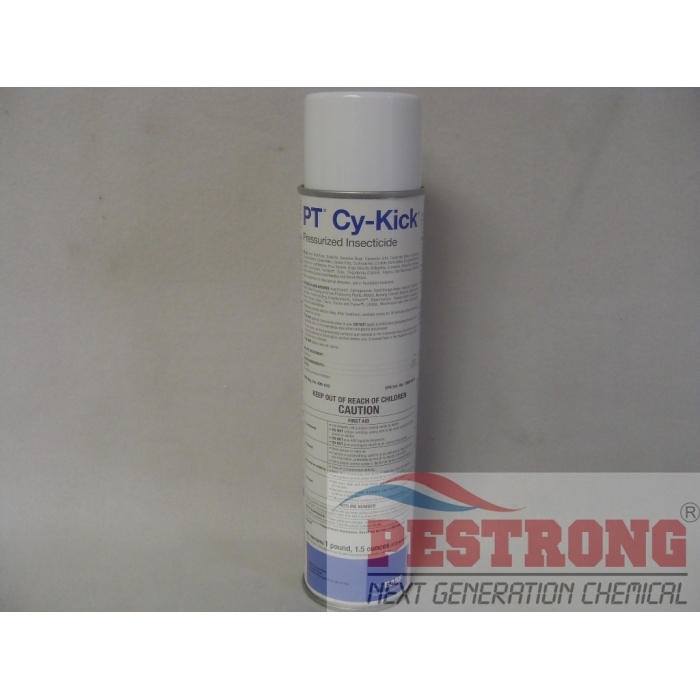 CY-Kick Cyfluthrin Aerosol Residual Insecticide - 17.5 oz is effective against of crawling insects and is labeled for indoor, outdoor and food handling areas. 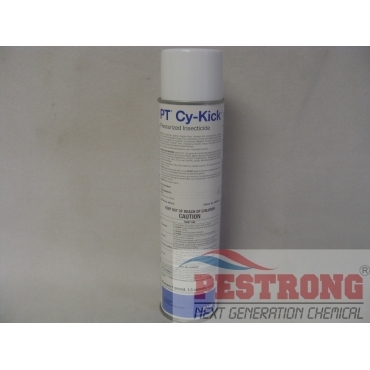 CY-Kick Cyfluthrin Aerosol Residual Insecticide - 17.5 oz provides long lasting residual control with quick knockdown. I recommend this cy-kick aerosol good for killing both residential and commercial insects, especially on German and oriental roaches. They were killed so fast and my clients even wanted to buy this personally. good product, works knocks them roaches out fast and lasts long long time. Being a pest pro I use this product on almost every cockroach job I do. It really works! As a pest pro I use this product for almost every cockroach job I do. One of the best products out there. Great "kill on contact" product. Residual effectiveness a little slow, but this could be due to the number of roaches that come back (live in an apartment and neighbors won't spray). Do not see many dead ones except the killed on contact. Overall this is a great product, very low odor. Fast shipping and exceptional price. Will keep buying and recommending to friends and family. Arrived quickly. I used the cy-kick and dust in carpenter bees holes and noticed fewer bees by the next day. Also used the dust under the eaves where wasps were entering. Same thing. Fewer wasps. Very effective.